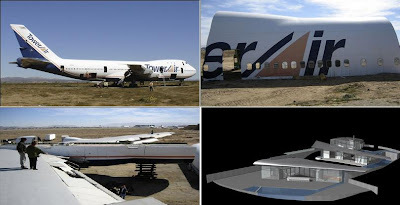 Have you ever wondered or given a thought to what happens to the retired or decommissioned airliners once their flying days are over? Many of them are parted out and the fuselage is sold off as aluminum scrap. Only a few get away from this end and get transformed into personal residences, hotels, hostels, and cafes. And these are among those selected few. It not quite often that one gets to stretch their legs out comfortably in an airplane, but now anyone can afford to sleep in a jumbo 747. 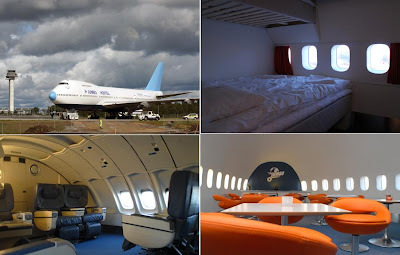 Jumbo Hostels of Sweden bought an old 747, and converted it into a hotel, and its situated in the Arlanda airport. 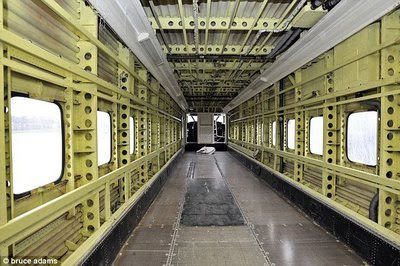 The plane has a total of 25 rooms and 86 beds. 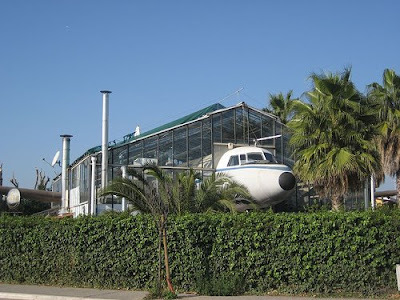 Plane boat is made out of Boeing 307 Stratoliner originally owned by industrialist and aviation pioneer Howard Hughes. 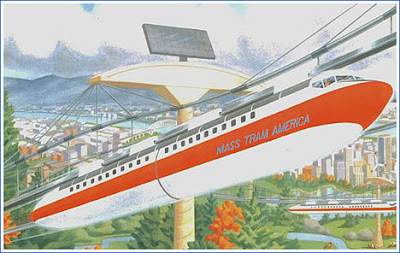 He acquired the plane in 1939 as part of his purchase of TWA. In this old Bristol there's one suite in the old pilot's quarters and one in the tail (cockpit and cocktails). 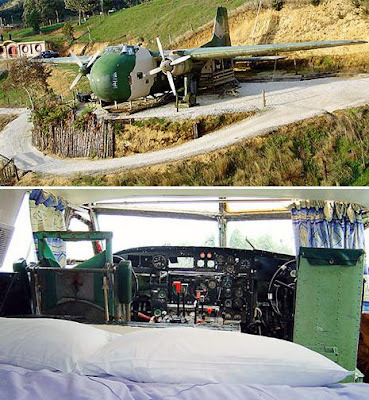 It doubles as a motel in Otorohanga, New Zealand. People can also have a Concord Experience in Scotland, it was brought to National Museums Scotland in 2004 and after its restoration it was opened for public. 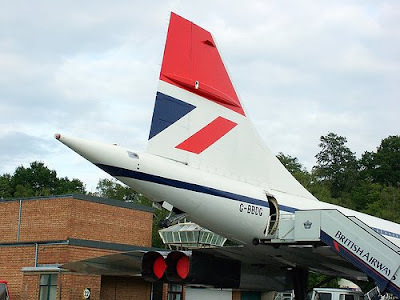 An exhibition of the history of this fantastic aircraft inside the fuselage of the real thing makes it a real 'Concord Experience". This is the last 100-seat fuselage that Fokker made before it went out of business in 1996. 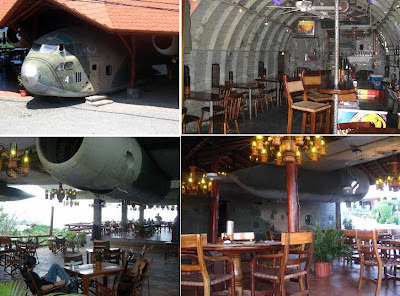 In 2000 the Breda based metal company Stolwerk bought the fuselage and in 2004 it was ready to be used as canteen. 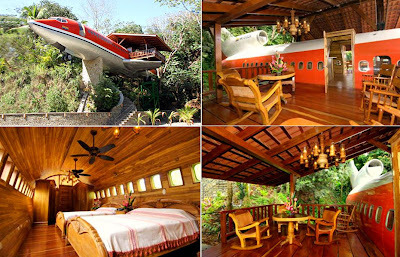 Airplane Homes by Max Power. 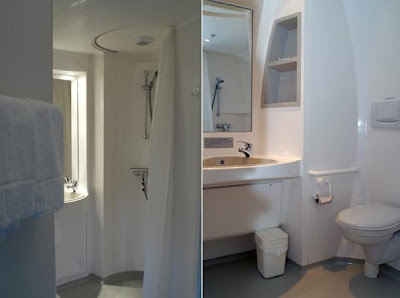 Its offering reused Boeing aircrafts as private residences. 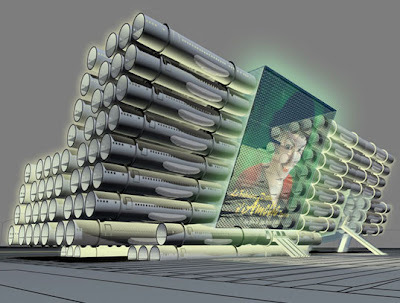 New York's architect LOT-EK, have designed a library in Guadalajara made entirely of refurbished airplane fuselages. 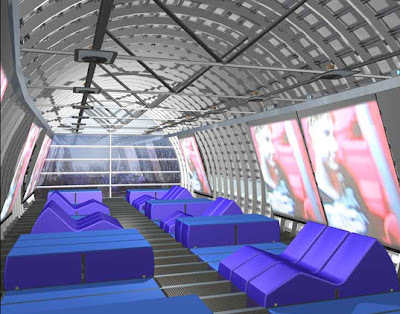 An 82 ft-long commercial airliner is used as the UK's first classroom for primary school pupils. It was purchased for less than £20,000 and will be used as a geography class. Whiteboards, desks and laptops are fitted out in the cockpit to make it a 'user-friendly learning space' for a class of 30 pupils. 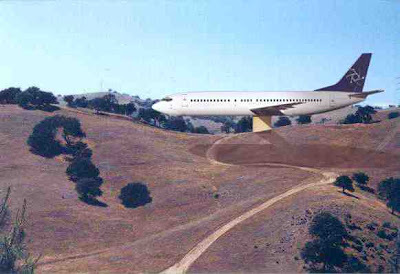 A Boeing 727-200 home project of Bruce Campbell which costed him over $200K. 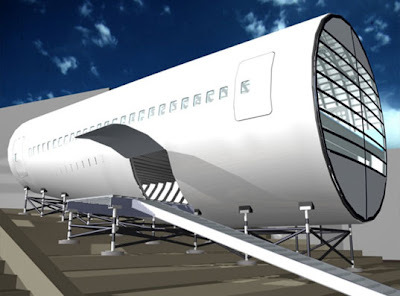 It was Francie Rehwahld who wanted a house with lots of curves and architect D Hertz suggested her a plane would be a good source of material. 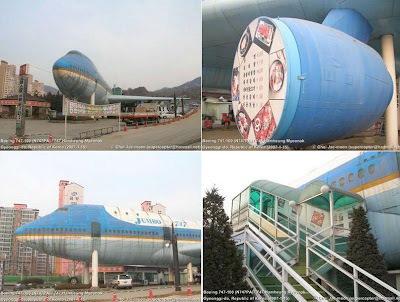 Its said to be the world's fist Boeing 747 converted into a restaurant in the city of Mokpo, South Korea. 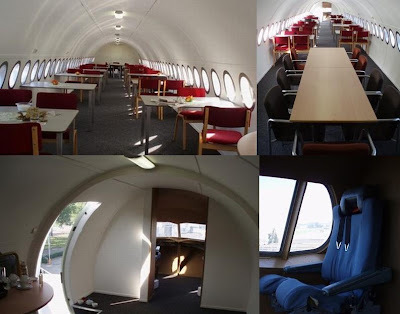 The engines of 747 Jumbo has been converted to a daily privileged menu and it can accommodate up to 150 tables. 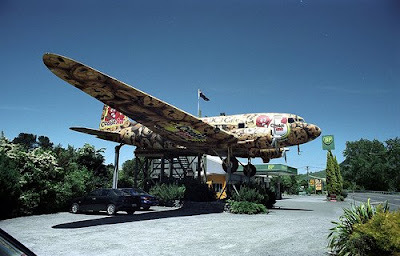 Cookie Time DC3 Café in Mangaweka, New Zealand. This café is of 'Cookie Time' - which has been manufacturing snack foods since 1983. 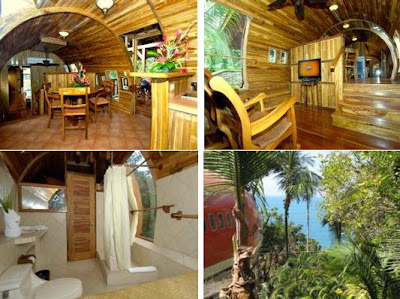 It now serves as a restaurant with the large "dome" in the middle being a small dance floor. 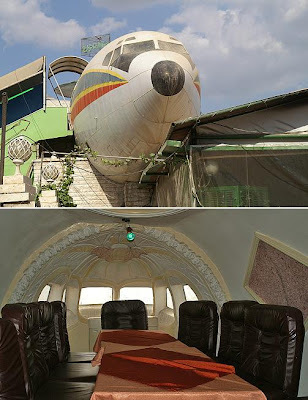 It's a 1950's Russian plane with the interior laid out as a restaurant. 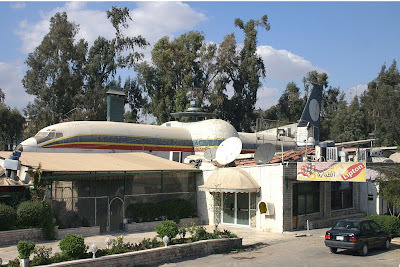 Yet another plane restaurant, location: unknown. 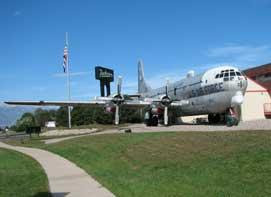 The centerpiece of this restaurant is a Boeing KC-97 and it's a 275-seat restaurant and 42 patrons can eat in this plane. 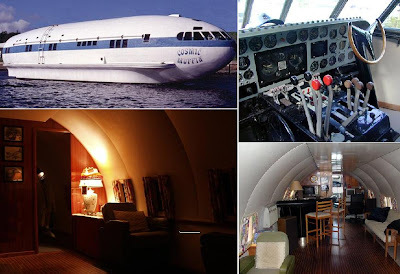 An old Douglas DC3, transformed into a café, inside the aircraft you have tables and benches, for the winter time, and under the wings there are tables and benches, for the summertime. Suitcase And The Foldable Vehicles.